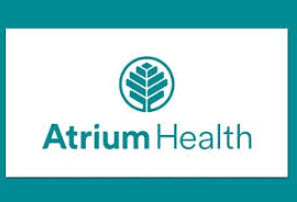 Atrium Health is a not-for-profit healthcare and wellness provider operating in North and South Carolina for a number of hospitals, emergency departments, and healthcare programs. Unfortunately, they underwent a data breach by their third party billing company. “One record accessed is one too many,” Atrium Health stated. Between September 22 and September 29, an unauthorized threat actor was able to gain access to databases containing the records, which included names, home addresses, dates of birth, insurance policy information, service dates, social security numbers, medical record numbers, and account balances. The compromised servers were managed by AccuDoc, separate from the Atrium Health’s systems. The third-party firm mailed bills to Atrium patients and provided web services for the hospital system, such as patient portals. AccuDoc informed Atrium Health of the breach on October 1st. Immediately, the billing vendor cut off the unauthorized access point and hired a cyberforensic firm to investigate the database security. The firm found that a hacking incident that involved a compromised system of an AccuDoc vendor which led to the exposure of Atrium’s data. Both AccuDoc and Atrium Health have informed the FBI. 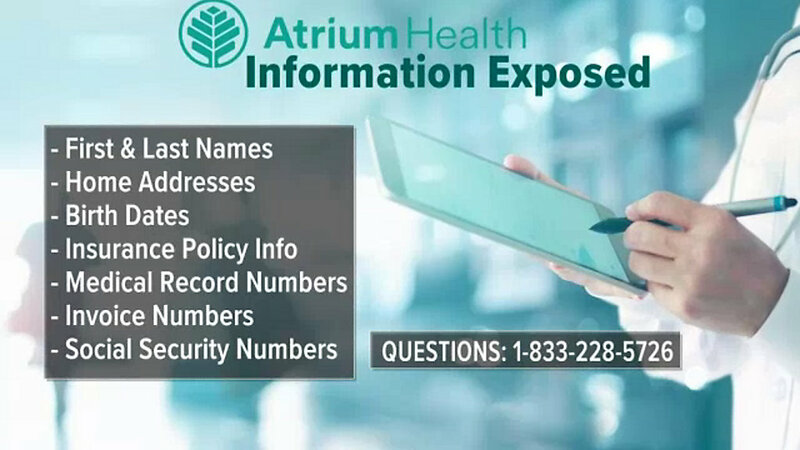 No evidence of data misuse was found, but out of caution, Atrium Health is contacting all patients and guarantors involved in the breach. About 700,000 Social Security numbers were exposed, therefore these individuals will be offered free credit monitoring services as well as identity protection. 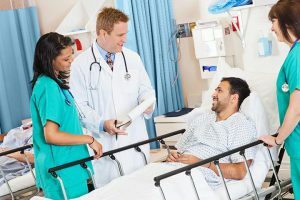 Patients who think they may be affected can visit www.krollfraudsolutions.com/accudocincident/. Individuals who may be affected can also call 833-228-5726 for more information.